gruppe der sender fødselsdagskort til hinanden. I dag er det Olivias fødselsdag, og jeg ved at mit lille kort er kommet frem. fik jeg lyst til at lave noget lidt anderledes end jeg plejer. fra Live & Love Craft's passede helt perfekt. 'Olivia-kort' lige som jeg havde tænkt. Jeg har lavet et Diaper fold card efter denne tutorial. Et lille kort som lige passer til en tag med en hilsen. Teksten på kortet er fra Hobbyboden. lidt glitter og vips, der var det. 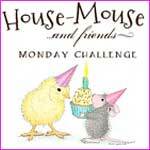 House Mouse & Friends challenge. We also have our NEW Design team members joining us. Please do hop over and leave them some comments to make them feel at home..
Use ANY House Mouse, Happy Hopper or Gruffie image on your creation..
the papers from Maja Design. is's called 'Hang on tight' and you can find it here. A lovely winter scene with Amanda and Monica having fun. I have made an easel card, one of my favourite folds. Another favourite of mine are the dies from Memory Box. because they can be very tricky to cut out properly. the die cutting turned into a dream instead of a nightmare! I never know where to write a regard on an easel card. like here, and sometimes a smaller tag like this. a brilliant way to solve the problem. That's TWO Fabulous Prizes and that means 2 fun chances for you to win! Please Note; where applicable, all shipping, handling and tax fees are the winner's responsibility. 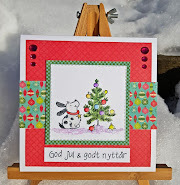 Celebrate, GDT card for Joanna Sheen Challenge Blog. 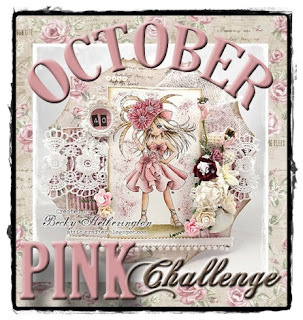 Today I am guest designer for the Joanna Sheen Challenge Blog. I was so lucky to be selected with this card. although entries with any images are welcomed. to be a guest on the design team, just like me. My card is made for my BIL who is celebrating his birthday today. Hugs and congrats from all of us. and so very perfect for my BIL who loves to cook. The papers are 'Marjolain' from Basic Grey. Annette- aka 'Netty'. You can find it here at her wonderful blog. Thanks Annette, this sentiment was just what I needed for this card. At the back side my personal stamp and elementes from the front. Joanna Sheen Challenge Blog by the talented ladies on the design team. En måneds tid senere blev den heldige vinder trukket, og det var mig! Frantage, tags, papir og flere blomster og pyntebær. Alt fra netbutikken 'Live and Love Crafts'. specializing in vintage shabby chic craft supplies. W for Winter Wishes, a DT card for ABC Christmas Challenge. W for Winter Wishes ! it's called Christmas Angel, and you can find her here. Once again a shaped card with a die from Go Kreate. and all edges are distressed with Vintage Photo. the sentiment is a part of the dp. awesome, but I'm struggling with using it. It's so hard to make it look random!! and a big snowflake made with a Spellbinder die. 1st Prize is 2 Digi images from Kristy Smith's Etsy Shop. I have used the sketch from Saturated Canary. and see what my lovely teamies have made this time. netop har rundet et af de skarpe hjørner. 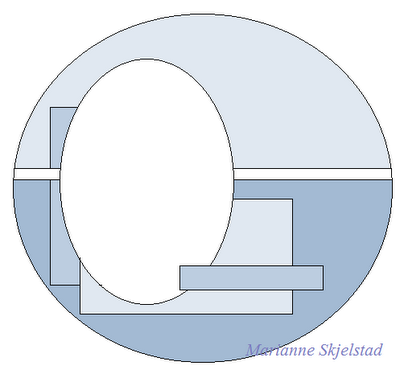 sammen med kraft karton, og et tekststempel fra Kreativ Hobby. as long as it is NOT a card and it features a House-Mouse character. For sponsor information please take a look at HM&FMC. I'm sure you could use Washi Tape aswell. The sentiment is saying: ' Believe in Christmas Magic'. A heart ribbon around the jar- and my gift was finished. inspiration and join in with the 'Anything but a card' challenge. Flying Angle Tilda, DT project for Stamp and Create with Magnolia. Use a Winter Themed image and create anything else than a card. What do we consider a Winter Image? Cold, snow, Christmas, New Year's/Celebrations. Colours are red, green, gold, white, blue, purple etc..
with some napkins in matching colours. The image is 'Flying Angle Tilda' from the Christmas collection 2010.
and added Stickles onto her wings. and added some Stickles there as well. that's my 'Anything but a card'.